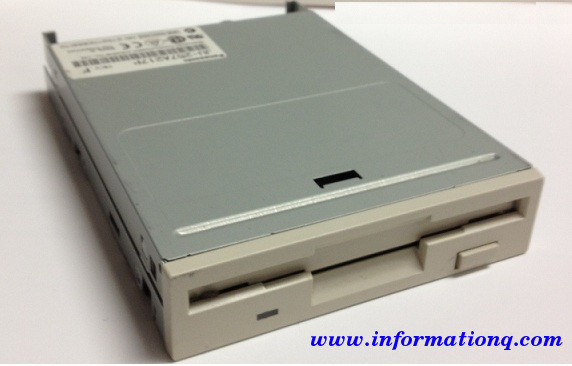 Floppy Drives that device which is fixed in the system unit and in which the floppy disk is placed to read and write. The floppy drive is connected to the motherboard and when microprocessor receives command from user to read or write, it sends signal to the floppy drive and then the drive starts the work. When you want to read or write contents on the floppy disk, you place it in the drive and give the command. This command goes to the microprocessor. Microprocessor handles the task and thus and the read/write function is performed. A Floppy Disk can store about 1.44 MB data. Hard Disk is very important part of the computer. It is the first and most powerful storage media where all programs are kept for the use. 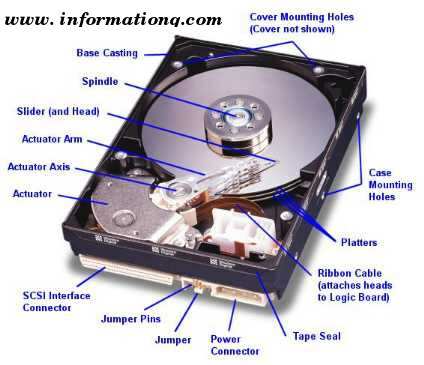 The Hard Disk is also known as fixed disk because it is fixed in the system unit and the contents of can’t be transported without use of any other storage media. The read/write speed of one Hard Disk is very fast. Its storage capacity is very large.